On May 18th, representatives of the Dutch government have been invited to attend the G20 discussion on Global Health. 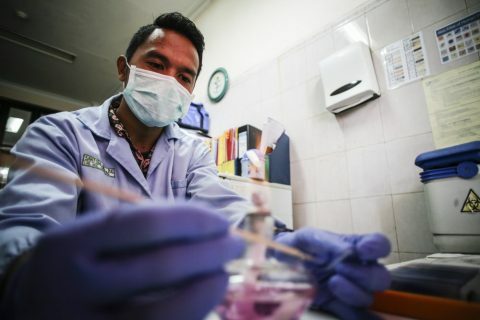 In 2018, the Netherlands will host major international conferences on HIV-AIDS and Tuberculosis. 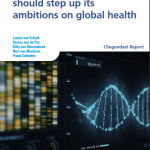 The Clingendael report released today affirms the rationale for adopting global health as a renewed Dutch foreign policy objective and for increasing Dutch engagement. It argues that delivering on the Global Health agenda is important for Dutch life sciences, health and economic interests. It recommends an overarching approach; enhancing the objectives by seeking to utilize Dutch expertise and shifting gears towards coherent policy, which transcends specific sectoral interests. Read the Clingendael news report here. To ensure more coherence, the report urges that global health policy and programming are approached from an integrated perspective and recommends the installation of a Special Envoy for Global Health. This Envoy could take the lead in orchestrating the Netherlands’ policy coherence across Ministries and Dutch global health policy as well as Dutch engagement with global players, including the United Nations, the EU, the World Health Organization and World Economic Forum.